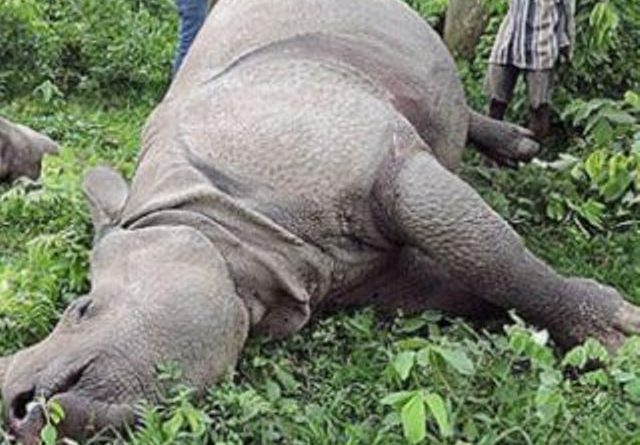 Kawasoti – A rhinoceros has been found dead at Sehari, Madhyabindu municipality-2 in Nawalparasi district today. The reason for the death of the around two and half years old female rhino has not been ascertained yet, said Nurendra Aryal, the assistant conservation officer of the Chitwan National Park. A team of veterinary doctors has reached the site and the cause of the rhino’s death would be known once the team carries out a post mortem examination, he added. Aryal presumed that the rhino might have died in a fight with another rhino.